The Original Wheelgirl: Dexter says, "Vote Republican!" 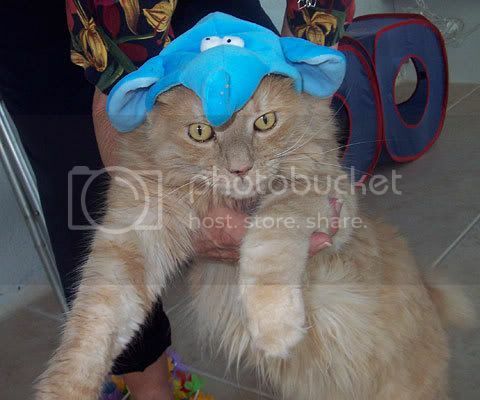 He doesn't look too happy here...so needless to say we took it off (Im not THAT cruel...lol). 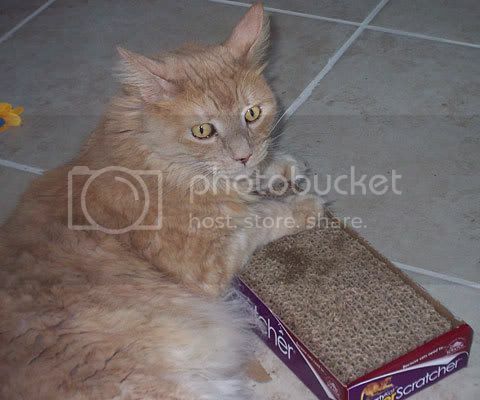 Anyway, we also got him a scratch pad which was covered in catnip, which he ate some of. Dexter doesn't go nuts on the nip, but he does drool (see photo below for evidence) and rubs his face on it. He pulled the scratch pad out of the box by turning it over, and all the catnip fell out onto the tile. Mom was like, "BONANZA!" She quickly swept it up before Dex OD'd. 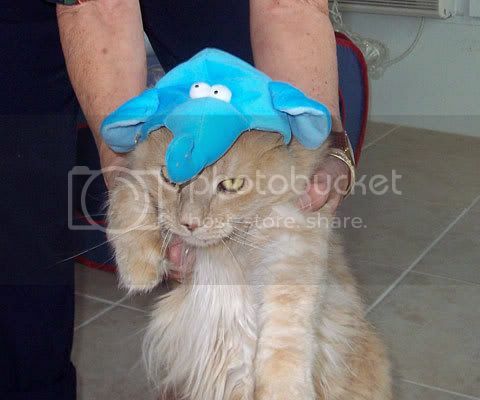 Anyway, hope to have some photos this week of projects and stuff. I've been out of it for a while. Thanks for stoppin' by!